Want A Quality Wedding Photographer? 15 Questions To Ask. No Comments on Want A Quality Wedding Photographer? 15 Questions To Ask. After months labouring over who to engage as a quality wedding photographer for my June wedding, I was lucky enough to remember a student photographer who volunteered to shoot a fundraising event for me about 10 years ago. With 10 years’ experience under her sleeve, I wondered – in trepidation – whether she would consider photographing our wedding. I have worked with photographers since the beginning of my career – newspaper photographers, event photographers, advertising photographers, marketing photographers, photographic artists and social documentarians. One thing I have learnt is that not all photographers, even if they could, want to do weddings. And not all photographers can do weddings. So despite knowing a whole bunch of photographers, that proved to be absolutely no use whatsoever. So I got lost in Google land for a while. Until I remembered the talented Tammy Law. Given I had followed her career and her extraordinary artistic talented, I was so nervous to ask. It was kind of passive like ‘Do you know anyone who does wedding photography?’ as though suggesting that she do it might somehow cause offence. She was so gracious in her response. Turns out she has been doing wedding photography for a couple of years through her business Tammy Law Weddings. I looked at Tammy’s online portfolio and thought ‘Wow’. And breathed a sigh of relief. Tammy was kind enough to give me the opportunity to not only check out her portfolio, but also ask as many questions as I needed to before deciding she was the one for us. The thing is, not every wedding photographer is suitable for everyone’s wedding. We all have different needs, wants, expectations and eccentricities. I swear we could all be a bit kinder to wedding photographers, but that relationship building should start at the beginning, not at the end when it’s too late! One step to achieving that strong level of mutual understanding is asking a prospective wedding photographer a range of core questions prior to engaging them. And if you look at her portfolio, her style features lots of those moments with modeled or posed photos integrated as well. But her style may not be for suitable for your day. And that’s why all of us need to ask these questions and consider the answers in the context of who we are, what we like and what we expect. So here they are, 15 questions to ask before hiring a wedding photographer. 1. How much do you cost? While this can often be a ‘how long is a piece of string?’ type question, I say it’s best to get this out of the way straight away which is why it’s helpful when photographers publish this information on their websites. If you can’t afford them, you can’t afford them no matter how wonderful their sales spiel might be. There’s no point going through the whole process only to be disappointed at the end that you can’t afford them. If you can afford them, it’s time to get down to the nitty gritty. 2. Why are your rates so high compared to your competition? / Why are your rates so affordable compared to your competition? When it comes to wedding photography, you get what you pay for. If you simply want someone who owns a DSLR camera to take photos of your wedding, ask one of your friends to do it. If you want to let your friends off the hook, hire a cheap photographer, but don’t expect them to do a better job than your friend. 3. 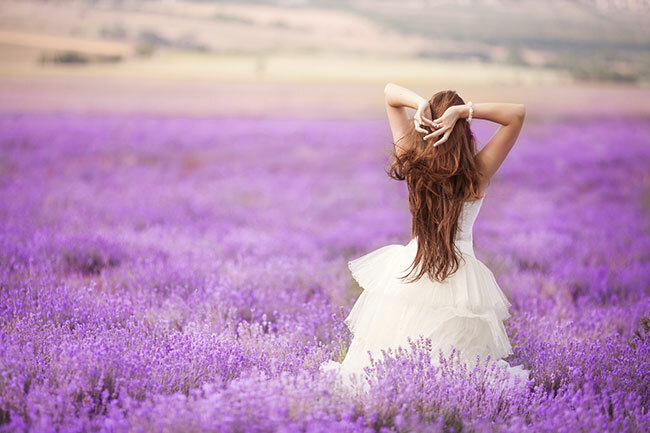 How would you describe your style of wedding photography? If you’re a rockabilly bride and their portfolio only features traditional weddings, they may not be edgy enough for you. Or vice versa. Find out what styles they love to shoot. Do they love classic or contemporary? Do they like to have fun or keep it simple? Are they well versed in black and white photography or do they prefer full colour? What post-processing work do they like to do? Classic and natural? Whimsical and vintage? Vibrant and colourful? 4. How many weddings have you photographed? / How many years have you been photographing weddings? This will give you an indication of their experience and whether they’re pricing is commensurate to that level of experience. If you’re hiring someone fresh out of photography school, it’s highly unlikely they can justify charging premium rates. ASSESS QUALITY: A picture speaks a thousand words, so ask to view a portfolio. 5. Do you have an online portfolio we can view? If their website isn’t comprehensive enough, be sure to ask if there’s a way you can view a couple of full weddings they’ve photographed from beginning to end. 6. Do you have any customer testimonials we can view? If the online testimonials don’t seem legitimate, ask if you can speak to one of their past customers over the phone. Better yet, get a referral from a friend who’s been happy with their experience with a photographer. If the photographer has a Facebook page, check out the customer feedback and the ratings. Google their name to see if they’re mentioned in any articles or forums. 7. What approach do you recommend we take to photographing our day? Yes, you’ve been reading wedding magazines and blogs, but – in the end – your wedding photographer is the expert. Ask them how they wish to approach the day. 8. Are we allowed to suggest ideas? Listen to the answer carefully. Of course all photographers will say yes in order to win your business. However, if they come across as very particular in what they do and you know you’re very particular in what you want done, perhaps consider hiring someone else who is more flexible. 9. How do you go about getting everyone together for group photos? This helps you suss out what their personality style is like. If you know you have a nightmare of a family or a wedding where there are kids and pets involved, it’s important your photographer has the confidence and wherewithal to round people up and take control. If it’s a small wedding, there’s less need for this type of skill. Either way, you need to know your photographer is going to step up when needed, so ask first rather than regret later. HAVING FUN: Will your photographer be up to the task when it comes to shooting something silly or different? 10. How many pictures will you take? / How many pictures will I receive? While your photographer may say they’ll be taking about 800 photos, how many of these will you receive? How many of these will they edit? It’s important to get these expectations clear from word go so you don’t get disappointed later. 11. Do you offer a second photographer? Why? Why not? 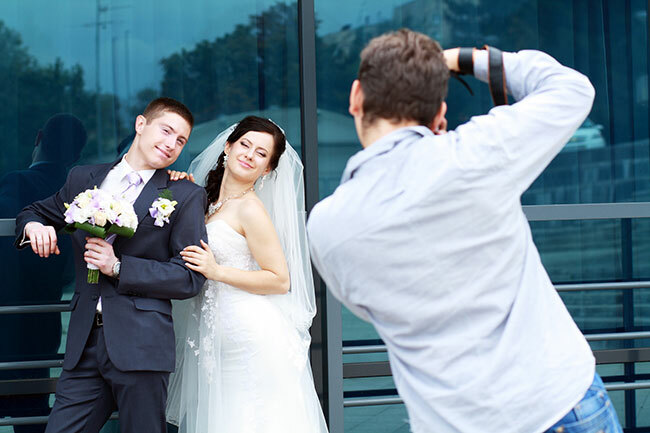 A second photographer is often used to take photos of the bride and groom separately on the morning of the wedding. Some non-traditional weddings don’t need a second photographer as the bride and groom either choose to skip documenting the ‘getting ready’ part of the day or choose to get ready together. If you need a second photographer, it’s important this is clear. Be sure to ask if this is included or additional to the price. 12. Do you edit the photography after shooting it? Is this included in the price? There’s a phenomenon in the world of photography known as ‘shoot and burn’. This means the photographer takes the photos and provides the digital images as is, without any editing. While there’s nothing really wrong with this per se, it does mean that you will likely be left to edit them yourself later because the lighting is all wrong and it’s not going to look good enough for your acrylic glass prints. Ideally, your photographer should offer to edit some select images. Find out how many and whether it’s included in the price or costs extra. POST-PRODUCTION: Has your photographer included editing in their quote? 13. What happens if you are sick on the day? A lot of photographers work on a freelance, part-time basis. Some work as part of photographic teams. 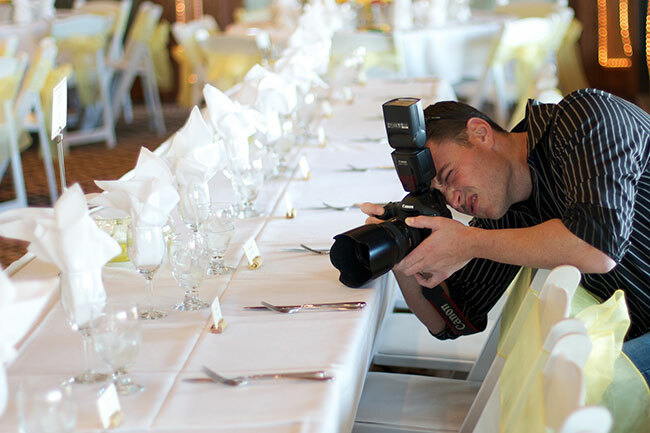 Either way, any professional wedding photographer needs to have substantive local networks. They need to be able to call on someone in their time of need. Find out if your photographer has this ability. 14. How long after the wedding will we receive our photos? If it’s within 24 hours, they’re likely just doing a ‘shoot and burn’ and a whole stack of crappy editing, so be patient. If it’s a complex job, you may need to wait until well after you return from your honeymoon. Either way, find out from the start so you know what to expect. CHECK FIRST: Is your photographer just going to ‘shoot and burn’? 15. Do you have public liability insurance? Any professional photographer ought to have the right insurance coverage. If not, it’s risky business. 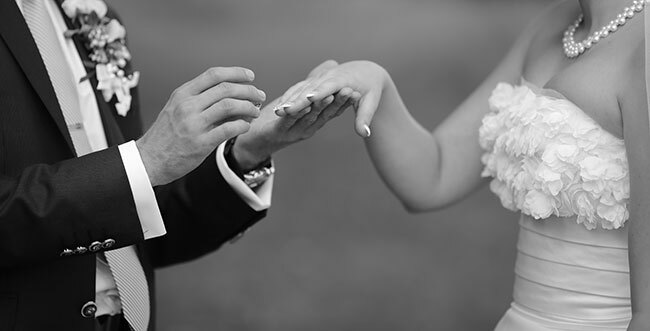 Good luck on your search for a photographer that suits you and your special day. 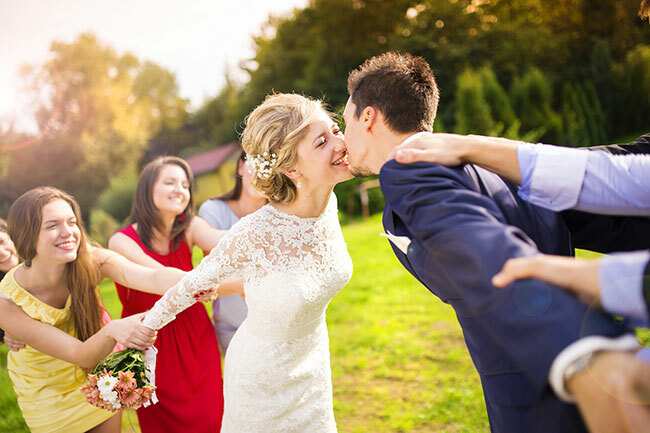 Be sure to visit us here online at The Canvas Factory when you’re ready to transform your beautiful wedding photos into canvas, acrylic glass or aluminium prints.